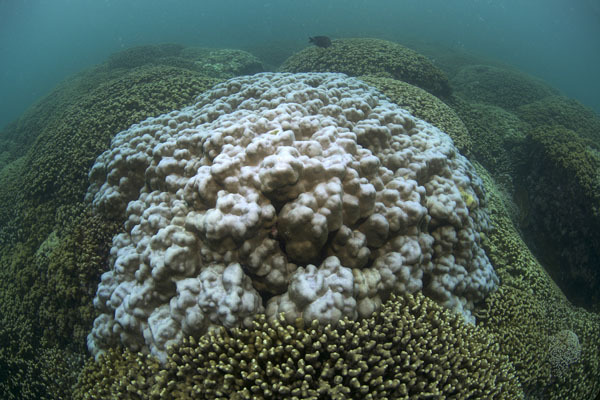 A coral in August 2015 at the start of the worst bleaching event the main Hawaiian Islands have ever experienced. (Credit: XL Catlin Seaview Survey team)Global warming and the current intense El Niño are prolonging the longest global coral die-off on record. Story here.